Why waste time manually drilling holes for fences and tree planting? The CP post hole borer makes quick work of the task. This powerful tool drills holes up to 1.3m deep and 90-350mm diameter in hard soil and sand. Designed for two person operation, it's powerful, compact, easy to use, and has clockwise and counterclockwise rotation. 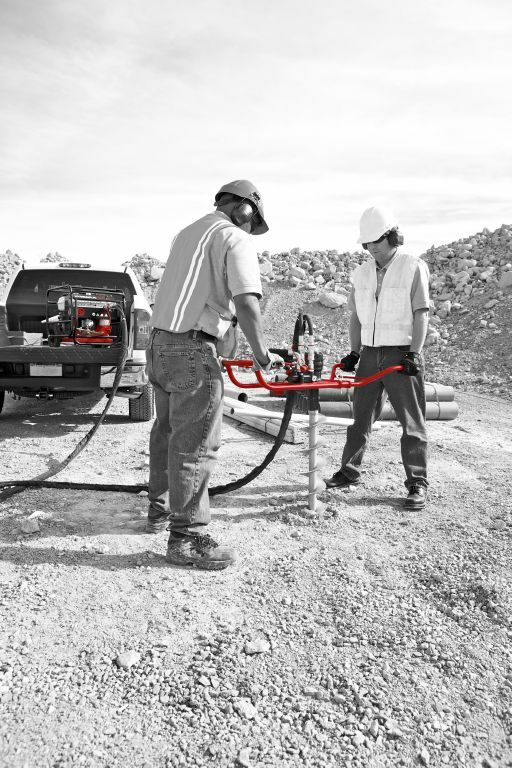 The unit can be powered by a hydraulic power pack, or connected to a hydraulic outlet on a truck, excavator, or loader. * Full details of the measurement are available in the Safety and Operating Instruction of the product.